KENT Supreme has an elegant wall mountable design with a transparent cover, the best fit for Malaysian kitchens. It saves expensive counter space and provides convenience while drawing water. 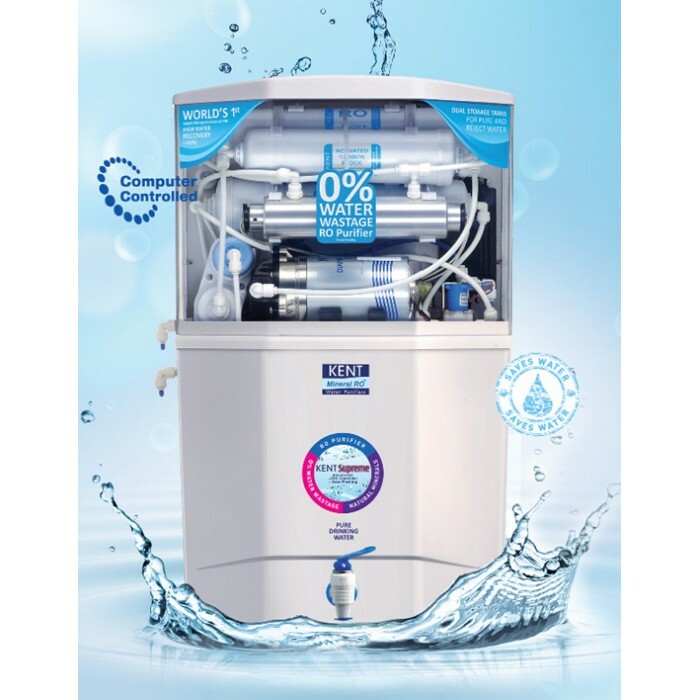 The fully automatic operation allows the purifier to begin purification whenever water level in the purified water storage tank falls below maximum.Level sensors ensure that the purifier is automatically shut off when either of the tanks is full. This ensures trouble free operation without the need of manual human intervention. A computer controlled operation has two unique features – Filter Change Alarm and UV Fail Alarm.Time-based Filter Change Alarm notifies the user to change filters thus maximising its usage. UV Fail Alarm alerts the user when the UV lamp becomes inefficient. KENT Supreme uses high-powered 11W UV lamp instead of the Industry standard 8W UV lamp, to provide complete de-activation of harmful micro-organisms. High-wattage ensures better safety against harmful micro-organisms like bacteria and viruses. 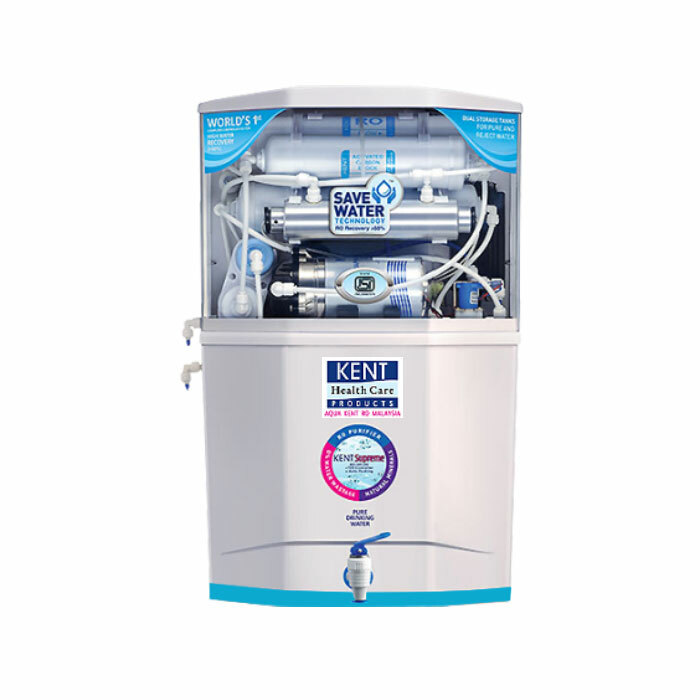 KENT Supreme has an inbuilt Auto-Flushing System that washes the RO membrane surface on periodic intervals to remove the salt deposits. It improves the life of the RO Membrane and increases its efficiency. KENT Supreme incorporates a built-in rugged SMPS (Switching Mode power supply) instead of a standard power adaptor. It is equipped to handle a wide range of input AC voltage (100 – 300 Volts) which converts to only 24v DC voltage which enables the purifier to stay resilient towards frequent power fluctuations and thus saving electrical power. First, of its kind in the industry, RO membrane housing is spin-welded using the latest technology, which ensures high-quality permanent joints.Welded housing also prevents tampering and improves membrane life.